Philadelphia will no longer be America's last bastion for token-based fare payment in public transit. An era dating all the way to the 1830's is drawing to a close. 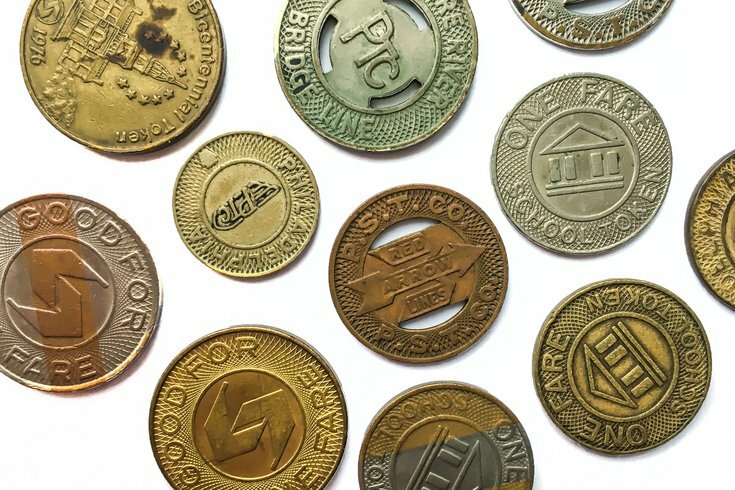 On Monday, SEPTA firmed up plans to phase out the sale of its tokens, which have long outlived their own evolution as other cities adopted more efficient, technology-driven fare platforms. Will SEPTA's new app make your commute more tolerable? Getting rid of tokens was a foregone conclusion when the transit agency finally implemented SEPTA Key, a smart card system that offers riders greater flexibility to store funds for transportation across the system's bus, subway and trolley lines. On Monday, Jan. 22, SEPTA will begin phasing out token sales at cashiers' booths across Philadelphia. That process will continue into early February. Starting on Monday, Feb. 12 and continuing through the week of Feb. 28, all remaining token vending machines will be removed from SEPTA stations. By March, all other points of sale for tokens, including major sales offices and Regional Rail stations, will be suspended. SEPTA Key debuted to 10,000 early adopters in June 2016 and has since expanded into much wider use across the city. Phasing out the tokens is part of continuing the modernization of the transit system. The convenience of SEPTA Key is that it enables transit commuters keep a reloadable travel wallet on a single card. Funds can be added and refilled at station kiosks, sales offices, online or by calling the Key Customer Service Center at 855-567-3782. Learn more about SEPTA Key here.